Federalism was incorporated into the Interim Constitution following the 2007 Madhesh Movement whose central demand was replacement of the old unitary state with a federal set-up. The interim charter was amended to include federalism against the wishes of the old establishment parties like Nepali Congress and CPN-UML. 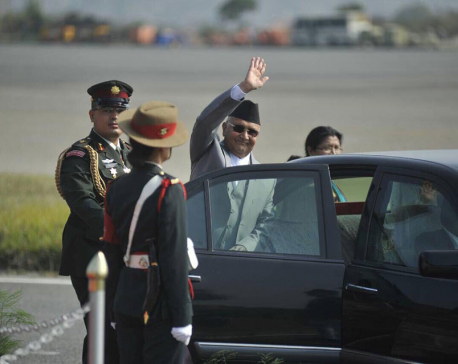 Prime Minister Girija Prasad Koirala’s hands were forced as the Tarai-Madhesh threatened to spin out of Kathmandu’s control. So even though federalism was an ‘imported’ agenda—all ideas, after all, have to come from somewhere—the Madheshi Movement showed that a sizable section of the national population was in its favor. Not so with the Interim Constitution’s designation of Nepal as a ‘secular State’ to replace the old Hindu constitutional monarchy. Opinion polls since the promulgation of the interim charter in 2007 have consistently shown that majority of Nepalis are unhappy with the country’s secular status. 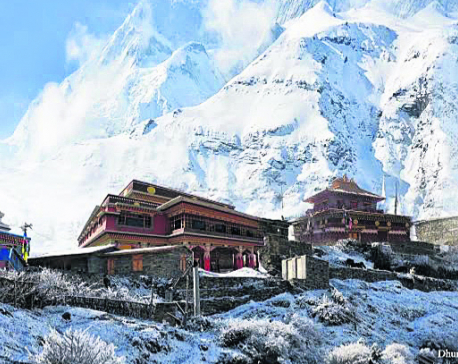 In a 2015 Himal Media Poll of 3,500 Nepalis from across 35 districts covering all three ecological belts just around 20 percent of those polled said they were happy to live in a ‘secular’ country, while around 50 percent said that they wanted a ‘Hindu state’; another 25 percent said they wanted a country with ‘religious freedom’. Another poll conducted by the Interdisciplinary Analysis, also in 2015, covering 3,000 respondents across 40 districts found that 71 percent of responders wanted to see Nepal as a ‘Hindu state’ while only 22 percent said that they favored ‘secularism’. Although it is impossible to rule out some bias in these polls, many Nepalis are clearly unhappy with the underhand way secularism was inserted into, first, the Interim Constitution and then the new constitution. Darmanirapeksata (“secularism”) was a new (and little heard) concept in Nepal until 2007. This is one reason why it is hard for our mainstream political actors to bat away the persistent accusation that Nepal’s Hindu character was changed at the behest of foreign missionaries—and the international donors who support these missionaries—with the devious goal of fundamentally altering Nepal’s social fabric. 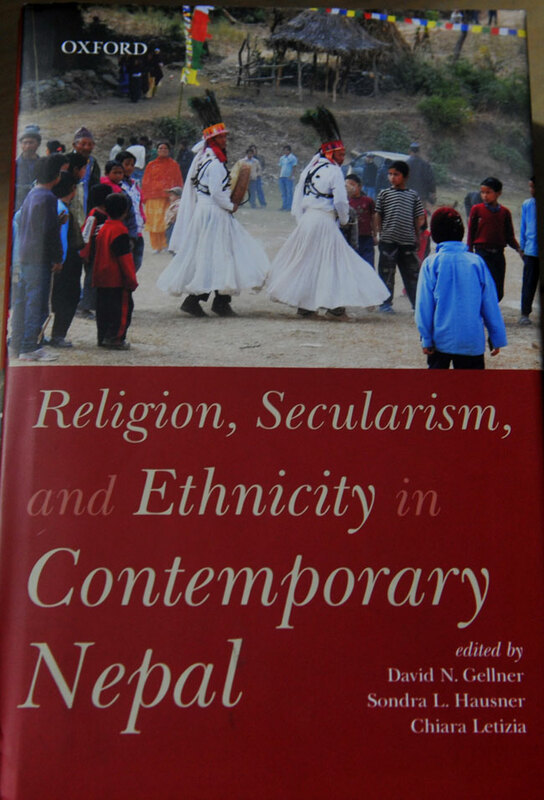 This is most certainly not the view of the contributors to Religion, Secularism and Ethnicity in Contemporary Nepal, a new collection of essays edited by David Gellner, Sondra Hausner and Chiara Letizia. All contributors to this volume seem to believe that the framers of our constitution were rather wise to declare Nepal as a secular country, even if they had to go against the popular view. This is because, as the volume attests, Nepal is a country with great social and religious diversity, the diversity which has had a chance of coming to the fore only recently—gradually after the 1990 political changes and more forcefully since the 2006 overthrow of monarchy. This rediscovery of the indigenous identities—that had been stifled in the three decades of the Panchayat rule—manifests in all kinds of new religious ceremonies and rites in secular Nepal. For instance David Holmberg in his essay shows how Tamangs, heretofore separated into innumerable clans, each with its own rites and rituals, are now trying to assert a common ‘national identity’. This is being done through, among other things, celebration of a common new year (Lhochhar) for all Tamangs. While such collectivization gives voice to Tamangs, says Holmberg, it also dilutes multifarious local traditions within the larger Tamang community. In another interesting essay, Ben Campbell takes up a touchy topic for many Nepalis: the growing trend of conversion into Christianity. There is a perception among a sizable section of Nepalis that the primary motive for conversion in Nepal is monetary: that the missionaries offer material inducements to get people to convert. Though Campbell’s study is limited in its scope, it nonetheless hints at an alternative explanation for conversion. One reason people of the marginalized communities (like the Tamangs Campbell studies) convert is because Christianity offers them a way to escape the strictures imposed on them by a Hindu society, where Brahmins and Chhetris lord it over those on the lower echelons of the social hierarchy. lines, charts the emergence of a “pan-Kiranti” religion. Another intriguing chapter is on blood sacrifice in Nepal, by Axel Michaels. The Maoists during the civil war achieved ‘radical transformation’ of the traditional idea of blood sacrifice in Nepal, Michaels writes, by framing the idea of human bloodletting within the old practice of blood sacrifice to Hindu deities. Gaenszle also analyses the debates surrounding bloodletting in the rather gory Gadhimai festival. Gerard Toffin in his essay charts the trajectory of new religious movements in Nepal with their guru-chela culture. The likes of Baba Ramdev and Kripalu Maharaj have become household names in the country and are today ‘progressively transforming’ Nepal’s cultural landscape, writes Toffin, just as they have been ‘reconfiguring’ Hinduism in India. Another important question in the newly secular country concerns the state’s support for the old (mostly Hindu) rituals formerly performed under the Hindu monarch’s guidance. The answer is not as straightforward as one assumes. One option is to discontinue the old practices. But in a country where there has traditionally been no clear demarcation between religion and statecraft, a swift divorce between the two might be neither desirable nor possible. Take the decision of the Finance Minister Baburam Bhattarai to discontinue state funding for various festivals and state sacrifices in 2008. As David Gellner writes in his Introduction section, the day Bhattarai presented a new budget where he cut such funds, Kathmandu was observing the festival of India Jatra. At the end of the festival, when the Newars dancers were not provided with buffalos by the state, as was the old custom, riots broke out. 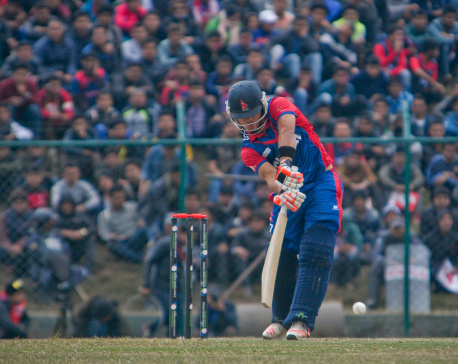 They assumed that the failure to give them buffalos was linked to Bhattarai’s decision to cut funding for festivals. The tense atmosphere in cooled off only when the government promised to restore buffalo offering and vowed to protect old traditions. The other option to abandoning old rituals is to adapt them to the republican set-up. But this presents its own challenges, as Astrid Zotter shows in her chapter on State rituals in the new order. For instance substituting the King with the President, the new head of the state, to preside over certain state-sanctioned rituals—like ‘Bhote jatra’ in Patan and the Sword Procession of Pachali Bhairab of Kathmandu—seems like a logical idea. But, writes Zotter, “a president… lacks the character of a king as a consecrated body and human god”; so middle-way compromise formulas are still being worked out. To cap off a brilliant book, Rajeev Bhargava, offers a pithy synthesis of all the ideas presented in Religion, Secularism and Ethnicity in Contemporary Nepal. He believes that Nepal, rather than emulating other secular states, has to work out its own version of secularism. But Bhargava also believes Nepal will do well to borrow from the Indian vision of secularism based on what he calls a ‘Principled Distance’ model. Pustak Ghimire, Krishna P. Adhikari (coauthored with Gellner) and Brigitte Steinmann. This is a complex book that explores complex ideas and it is impossible to capture its true essence, or even the essence of a single chapter, in this short review. Errors of both omission and commission are thus entirely mine. What I can say is that it is compulsive reading for anyone who wants to understand the nuances of the secularism debate in Nepal.